External plant displays can enhance the appearance of any space. 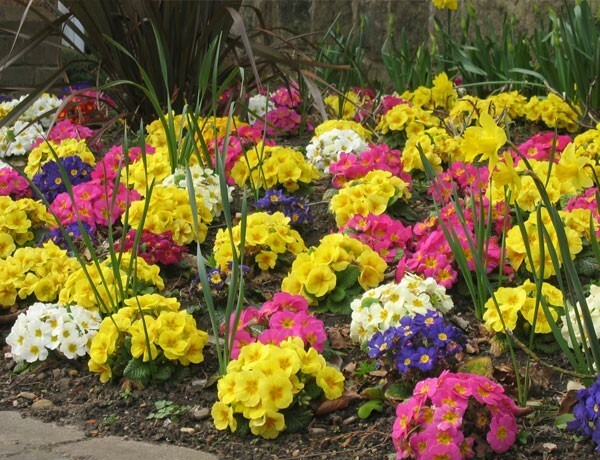 Window Boxes may well be serviced under a Maintenance/Replacement contract, whereby we not only maintain the displays, but also replace failing and seasonal plants within the set agreed fee. Normally window boxes have three or more seasonal changes, but some clients like ‘evergreen’ displays using architectural plants such as Box trees or Cordylines, and trailing Hedera (ivy) where the replacement element is lower. We usually recommend the installation of a self-watering system on a timer for these installations and often include water retention granules and slow release fertiliser to achieve a premier planting environment. The maintenance of these types of installation can be on a Maintenance Only or Maintenance/Replacement basis. Again, we recommend the installation of a self-watering system where possible. Troughs can be wall mounted, placed directly on the floor or used as window boxes. We change your hanging planters and troughs twice a year as standard, so you will always have a beautiful display. Perfect for outdoor areas such as the front of a building, they are a great way to brighten up your business and create an image to stand out from the rest. 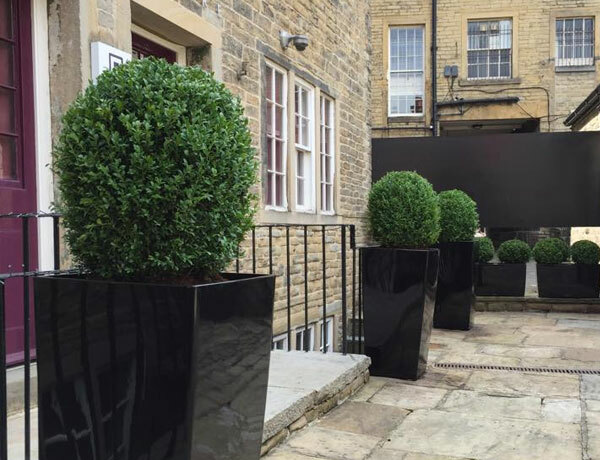 Planters can be matched with your corporate colour scheme and identity. You only get one chance to make a good first impression, making a good first impression with clients and visitors is important in keeping your business thriving. A first impression begins as soon as customers drive or walk onto your property.